The end of Term 2 heralded the Semester 1 Year 7 Arts Day. 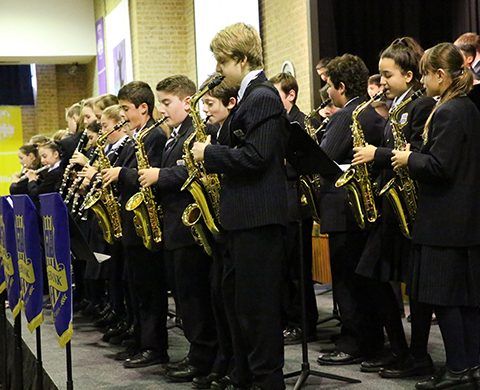 This is an opportunity for all of Year7 to come together and celebrate all their achievements in the Visuals and Music programs. Parents were invited to view artworks and musical performances by students. This was an enjoyable afternoon that certainly demonstrated the depth of creativity in your Year7 classes and programs in the Arts. This event will take place again in November this year to showcase not only Visual Arts and Music but all the annual Drama Theatre Sports competition in Year 7.